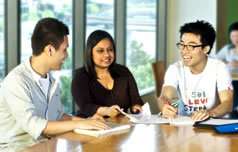 Discover the huge variety of education courses from Victoria University. We offer a range of learning in education so you can study at short course, TAFE, degree or postgraduate level. Build your literacy and numeracy knowledge and confidence in preparation to sit the Literacy and Numeracy Test for Initial Teacher Education (LANTITE) examination. A new and innovative double qualification. It allows you to undertake an initial bachelor program in science and then complete an accredited masters program in secondary teaching. Turn your passion for working with children into a career with a Certificate III in Early Childhood Education and Care at Victoria University Polytechnic. Become a fully qualified early childhood educator and develop skills in providing activities and care to children. Gain the skills and confidence to provide support in classrooms and become a qualified teacher's assistant with the Certificate IV in Education Support. Further develop your skills in literacy, numeracy and communications to critically analyse complex texts and perform a range of numeracy tasks with the Certificate III in General Education for Adults at Victoria University Polytechnic. Gain important foundation skills in literacy and numeracy with a Certificate I in General Education for Adults at Victoria University Polytechnic. Start your journey towards a rewarding career in education with the Diploma of Teacher Education Preparation. Launch your career as a youth worker and make a difference in a range of community-based programs. Build essential literacy and numeracy skills for a career in education, and prepare to enter the second year of a teaching degree. Become an in-demand early-childhood educator, equipped with effective skills and practical experience, with a Bachelor of Early Childhood Education from VU. If you want the option of teaching at primary or secondary level, the Bachelor of Education (P12) is for you. Gain advanced skills and knowledge for a variety of education settings. This graduate course extends your career prospects into new and exciting areas. 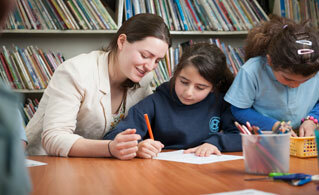 Gain practical experience and prepare for a rewarding career as a primary school teacher. Prepare for registration as a secondary teacher in a wide range of discipline areas through the Master of Teaching (Secondary Education). Expand your employment opportunities and become qualified to teach English as an additional language (EAL) with the Graduate Certificate in TESOL. Gain a solid foundation in research methods before undertaking a thesis related to 'sustainable and liveable cities'. This masters allows bachelor-degree graduates in any discipline to undertake a research degree. I chose VU because it offered more placement hours than any other teaching course. I wanted to have as much experience as I could in schools before starting my career. I believed it was very important for me to be exposed to different learning environments. If you're interested in working as a primary teacher, an outside school hours care manager or any other type of early childhood education, we offer a range of suitable courses. Whatever your career aims, from early childhood education to secondary teaching, Victoria University has the right course for you.